Why not make your Special Day Even More Special? Your Wedding Day is one of the most important days of your life – a day full of romance and memories that you’ll want to treasure forever. 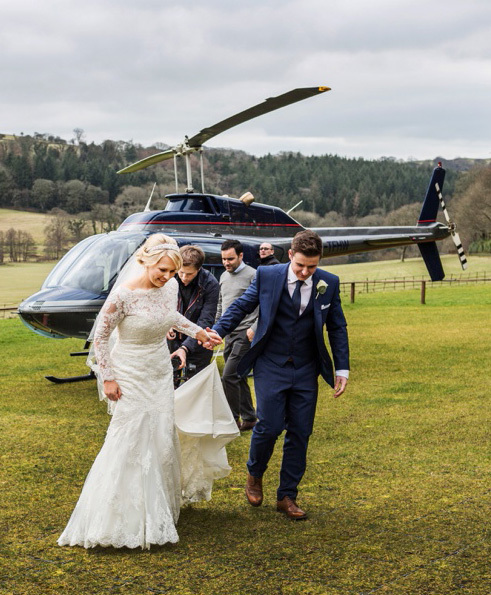 Why not add even more to the magic, excitement and romance by travelling to or from your wedding in your very own personal helicopter? 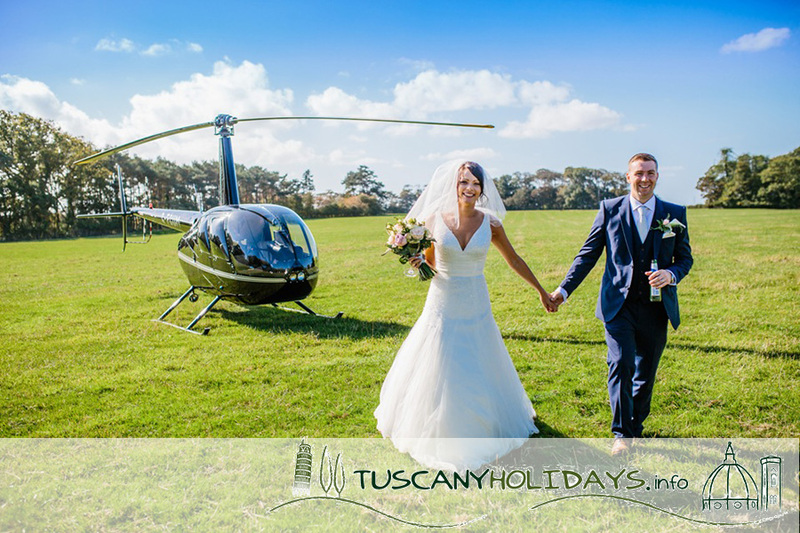 Wedding Day Helicopter Hire Service, operated by Tuscany Holidays, is tailored to meet with your unique needs on your special day. Our friendly team will work with you to ensure that you make an unforgettable entrance or exit from your chosen venue at exactly the right time. We’ll also arrange the Flights Schedule with you to make sure that your photographer has plenty of time for photographs; and that your spectacular arrival and departure are captured forever on your wedding video! 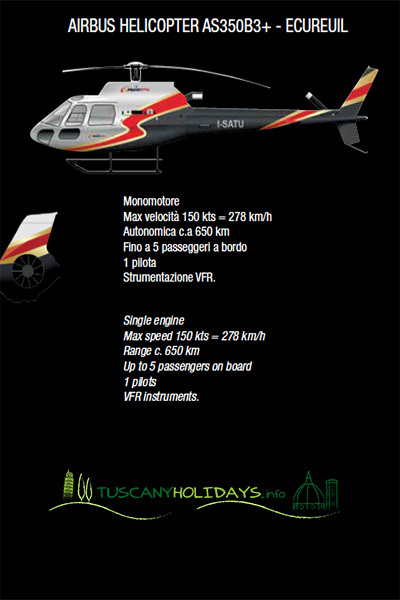 Despite its glamorous image, flying by helicopter costs much less than you may imagine and is a realistic alternative to hiring a private limousine. 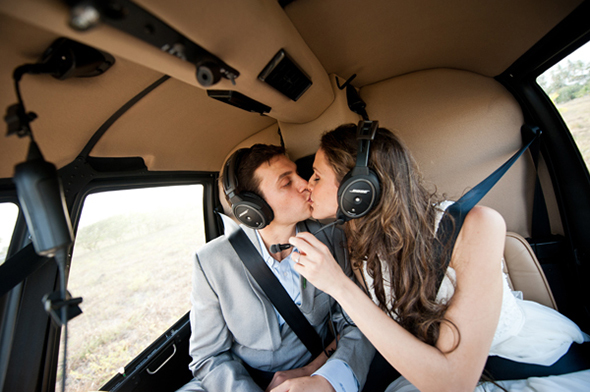 A Helicopter Flight to and from your wedding location will add the ultimate touch of style to your wedding arrangements! Our job is to make sure that you have the freedom to relax and enjoy one of the most memorable occasions of your life. We want you to believe something wonderful is going to happen… the day of your dream is going to become true!! A picture is worth a thousand words and nothing is more important than capturing every moment of your special day. Whatever your taste: elegant, timeless, vintage or modern, we will help you to catch the mood of your event. 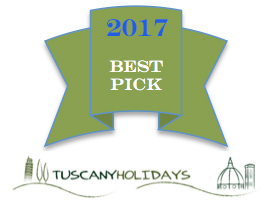 We will fly to some enchanting location in Tuscany for a special toast with a bottle of sparkling wine and take some pictures. Itineraries can be customized ! What a DAY ! ! !